Ruth Behar – Lucky Broken Girl. In this unforgettable multicultural coming-of-age narrative – based on the author’s childhood in the 1960s – a young Cuban-Jewish immigrant girl is adjusting to her new life in New York City when her American dream is suddenly derailed. 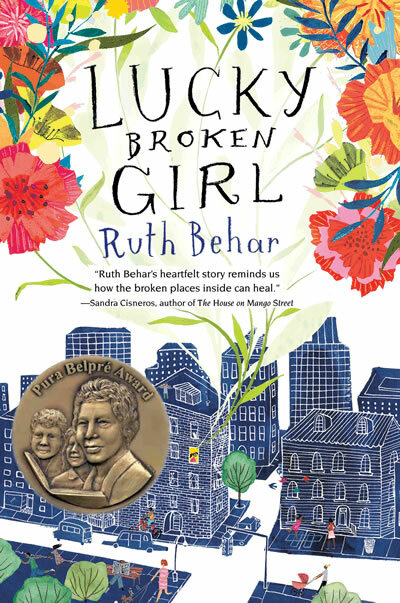 Ruth Behar has received The 2018 Pura Belpré Author Award for Lucky Broken Girl ! In this unforgettable multicultural coming-of-age novel – based on the author’s childhood in the 1960s – a young Cuban-Jewish immigrant girl is adjusting to her new life in New York City when her American dream is suddenly derailed. Ruthie’s plight will intrigue readers and her powerful story of strength and resilience, full of color, light, and poignancy, will stay with them for a long time. Ruthie Mizrahi and her family recently emigrated from Castro’s Cuba to New York City. Just when she’s finally beginning to gain confidence in her mastery of English –and enjoying her reign as her neighborhood’s hopscotch queen – a horrific car accident leaves her in a body cast and confined to her bed for a long recovery. As Ruthie’s world shrinks because of her inability to move, her powers of observation and her heart grow larger and she comes to understand how fragile life is, how vulnerable we all are as human beings, and how friends, neighbors, and the power of the arts can sweeten even the worst of times. Get your audio copy now! Lucky Broken Girl takes us into a world that is at once deeply familiar and astonishingly new — the world of young people negotiating English as a Second Language, of families being forced from their homelands, of bodies learning to move (and not move), and of friendships across cultural divides. But most of all, it is the world of Ruthie, an unforgettable character who I grew to love and cheer for. So glad Behar has entered the world of young people’s literature. So grateful for her unique voice. 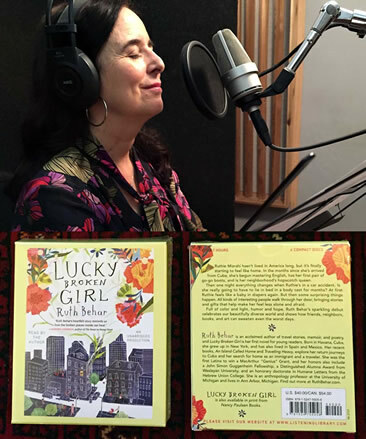 Ruth Behar’s heartfelt story, Lucky Broken Girl, is a book that reminds us how the broken places inside can heal. In the shadow of tragedy and fear, little Ruthie, our lucky, broken girl, finds the light of love and optimism. Although it indeed takes a village to raise a child, her story of resilience and triumph reminds us that sometimes it takes a child like Ruthie to raise a village. An engaging and magical read for children and adults alike. Reading Lucky Broken Girl feels like meeting a courageous new friend who will be with you forever. Ruth Behar succeeds at infusing her tale of heartbreak and suffering with a glorious celebration of forgiveness and hope. A powerful story of fortitude and courage that will remain in the hearts of young readers. Ruth Behar is a Cuban-American author exploring the human fragility we all share. 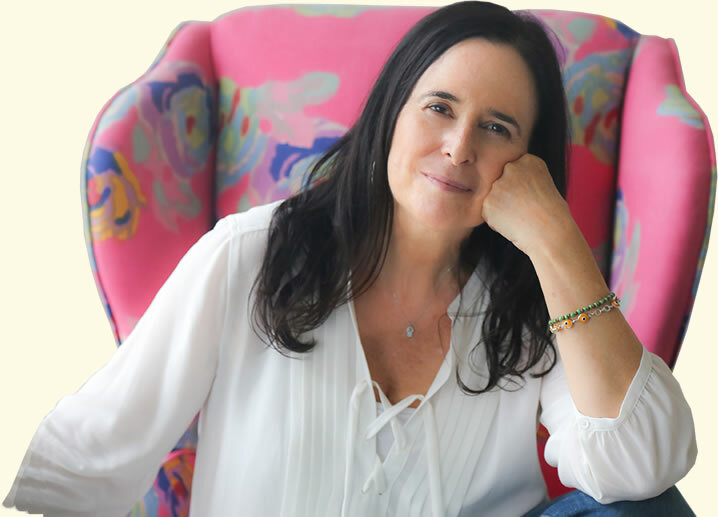 As a storyteller, traveler, memoirist, poet, teacher, and public speaker, Ruth Behar is acclaimed for the compassion she brings to her quest to understand the depth of the human experience. She now makes her fiction debut with Lucky Broken Girl, a novel for young readers about how the worst of wounds can teach a child a lesson about the fragile, precious beauty of life. Born in Havana, Cuba, she grew up in New York, and has also lived in Spain and Mexico. Her recent memoirs for adults, An Island Called Home and Traveling Heavy, explore her return journeys to Cuba and her search for home as an immigrant and a traveler. She was the first Latina to win a MacArthur “Genius” Grant, and her honors also include a John Simon Guggenheim Fellowship, a Distinguished Alumna Award from Wesleyan University, and an honorary doctorate in Humane Letters from the Hebrew Union College. She is an anthropology professor at the University of Michigan and lives in Ann Arbor, Michigan. Music flows through Lucky Broken Girl from the opening pages to the very end of the story. On this playlist you can hear the songs that are mentioned in the book. I also included a few extra songs that capture the spirit of the late 1960s when the story takes place. And you will find songs that honor the diversity of languages and cultures that converge in Lucky Broken Girl. My brother, Mori, a composer and musician, gave me the mp3s of the two songs we mixed together in the book trailer, so you can enjoy them too. Happy listening! Original author photo by Ivana Blanco Gross. Photo editing by Gabriel Frye-Behar. Flower details on the site, courtesy of Penelope Dullaghan.